'Imiselinos' is a large well equipped 55m apartment with 180 degree views of the foothills of the white mountains. Located on the edge the sleepy village of Paidohori, the house is 15 minutes from the lovely sandy beach resorts of Kalyves and 20 minutes from Almyrida. The nearest mini market, pharmacy and taverna are in Agio Pantes which is a very short drive - or a longer stroll away. The apartment has a well equipped full sized kitchen, generous double bed and a large living area which has a single sofa bed and/or a travel cot for additional guests if required, and a separate modern shower room and toilet. The apartment has a TV, DVD and Wifi. Heating in the winter and air conditioning in the summer are available if required. Guests have sole use of a large private patio and a shaded seating area with amazing views. There are many interesting and varied walks around the area, along the coast, inland on the plains, or for the more adventurous into the mountains, all with stunning views and varied wildlife. Click here to view some of the walks. Several important archaeological sites are within easy reach by car, such as the Aptera ruins. 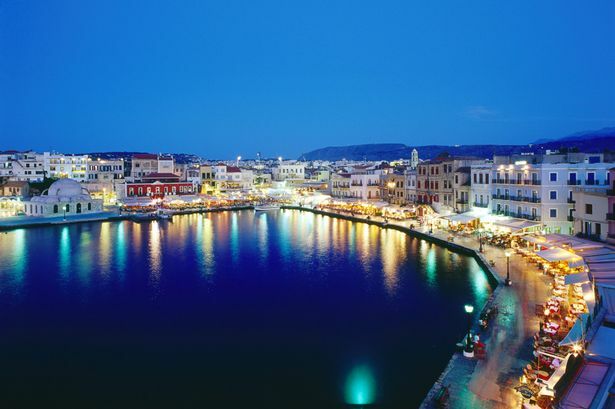 Chania, the picturesque Venetian city with its historic harbour is a fabulous place to visit and stroll around the old town then eat by the waterfront or up the hidden side streets. It is only 30 minutes away by car or bus. 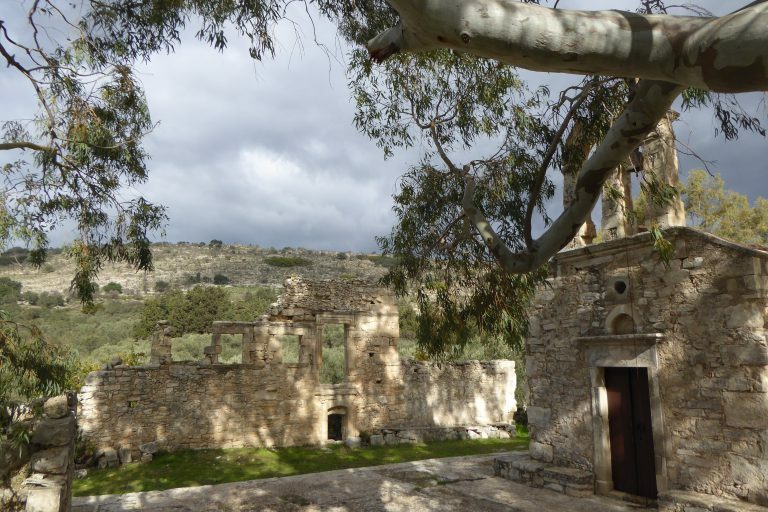 The village of Paidohori is situated between Chania and Rethymno. Chania airport is approximately 45 minutes away, and Heraklion airport is under 2 hours. We are 2-3 minutes from the Agio Pantes junction on the national road. 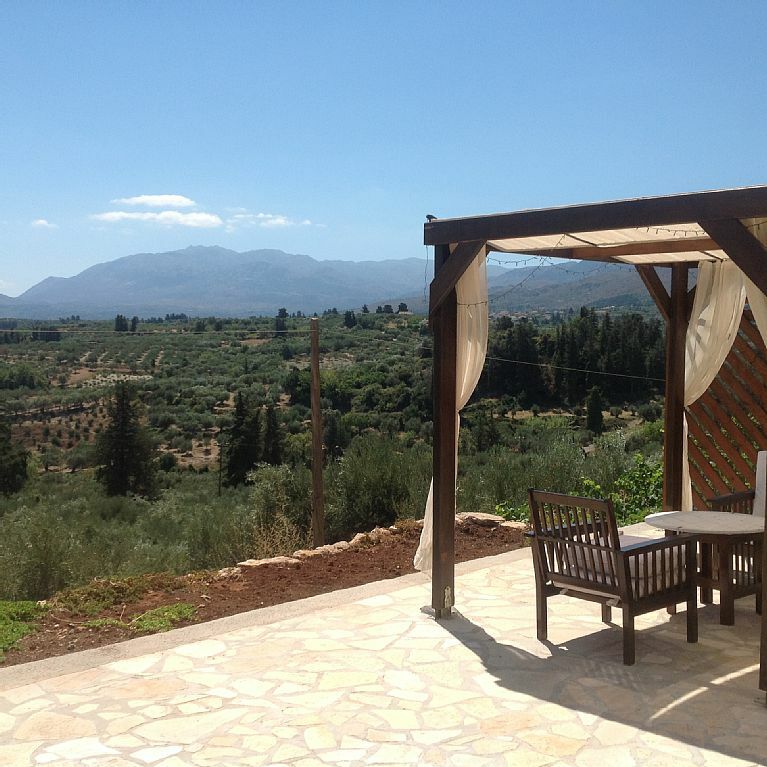 There is public transport from Chania and Rethymno to Agio Pantes on the national road where there is a taxi rank, however we would recommend guests hire a car. The English owners, Chris and Kathie, live upstairs in a separate apartment.